July 14-18, 2013. New Jersey. Vacationers return to Jersey Shore after Hurracaine Sandy. 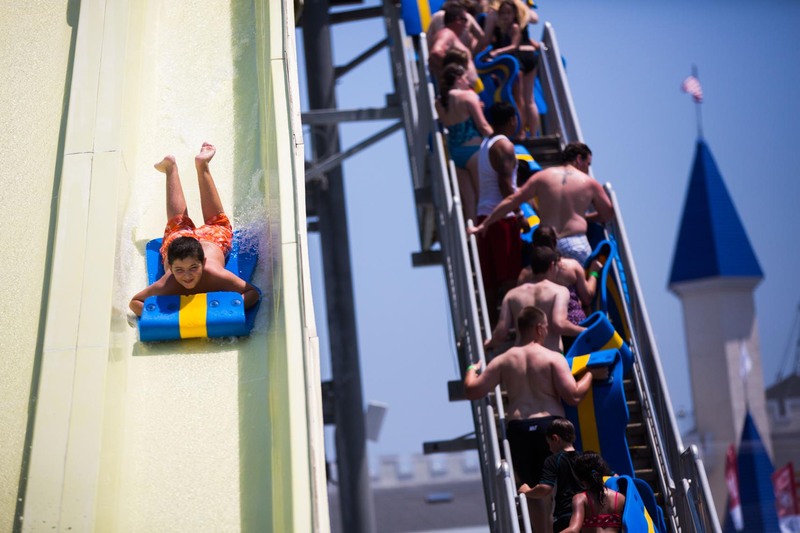 Here, visitors enjoying the slides at the Breakwater Beach waterpark at the Seaside Heights. Piotr Redlinski for The New York Times.